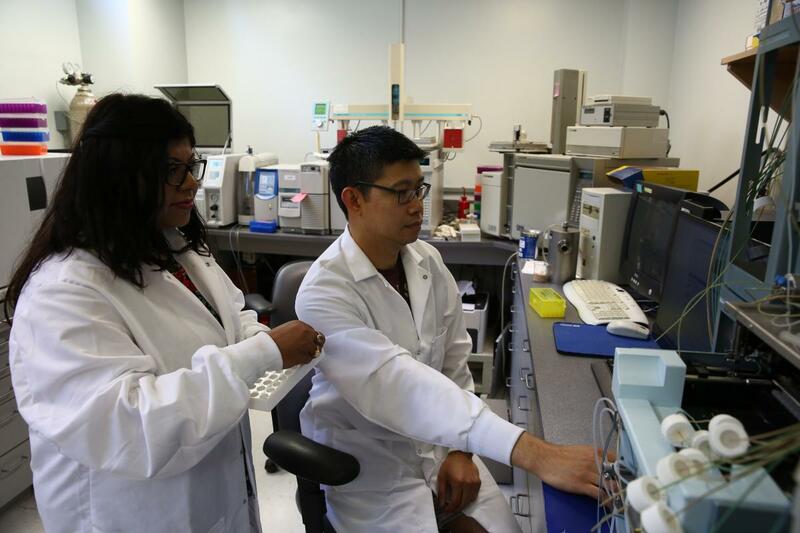 To this end, WSL provides specialized instrumentation and methods for organic contaminants, heavy metals and for stable isotope mass spectrometry. 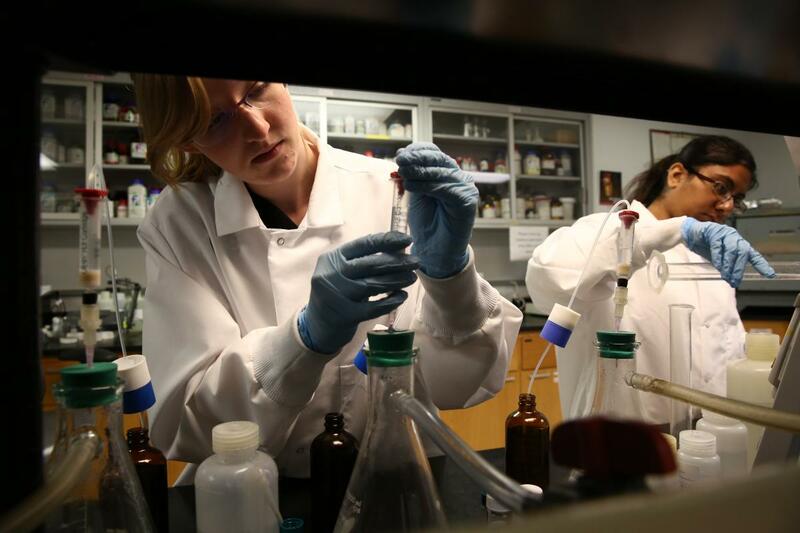 WSL ’s faculty, staff, and students have analyzed thousands of samples at the facility over the past 25 years. The Lab offers state of the art methods for stable isotope analysis of gases water and solids using stable isotope mass spectrometry. We even have ASBC methods for hops testing, including α-acids and β-acids, and hops storage index (HSI)! Our available methods are constantly being updated. However, if you have a custom-application not currently listed, contact us and we can discuss method development. The Water Sciences Laboratory is here to support your research needs -- whether you are an experienced faculty member or a student. We provide individualized training, consultation, equipment, and bench space to members of the NU community. 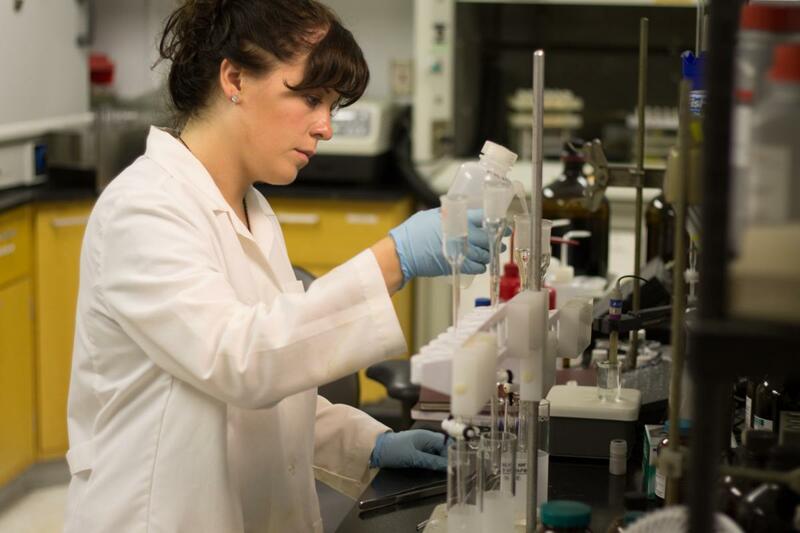 The Water Sciences Laboratory provides educational training opportunities for undergraduate students, graduate students, and faculty within the University of Nebraska system. The WSL also extends trained users the opportunity to use the WSL facilities and equipment to run their own samples at a reduced cost. Interested in becoming a facility user? Contact the Lab and one of our staff will be in contact to set up your on-boarding session! Staff at the WSL are actively developing short-course workshops and technical skills seminar courses for sediment and water quality analyses. Check back soon for more information about the programs. The Nebraska Water Center and Water Sciences Laboratory are jointly invested in a number of university-wide, national, and international educational programs that provide short-term training opportunities for students and early-career faculty.